Construction accidents in The Bronx often leave workers dealing with serious and potentially life-changing injuries. They have medical appointments and treatments to deal with, families to support and worries about their financial future. In the midst of all this, workers must also find a personal injury attorney with the knowledge and experience to handle their specific injuries. This can be challenging, especially for workers dealing with multiple injuries. 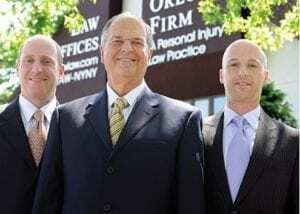 At The Orlow Firm, our attorneys have more than 30 years of experience handling personal injury cases in the New York City area. We have handled thousands of cases, including many kinds of serious injuries from construction accidents, and we are ready to give you the personal attention that your case deserves. For experienced and caring representation in pursuing a claim involving construction injuries or wrongful death, call The Orlow Firm at (646) 647-3398 or contact us online. We work with a carefully developed network of doctors and medical experts to quantify clients’ injuries, to investigate causal relationships between construction site accidents and injuries, and to present a knowledgeable, fact-based and persuasive case in settlement negotiations or, if necessary, at trial. If you have experienced a construction injury or lost a loved one in a construction accident, contact The Orlow Firm for more information and effective legal representation. At our firm, you will always work with a named partner. You should expect nothing less in a case that means so much for your future. To contact a Bronx construction accident lawyer, call (646) 647-3398 or send us a message online.